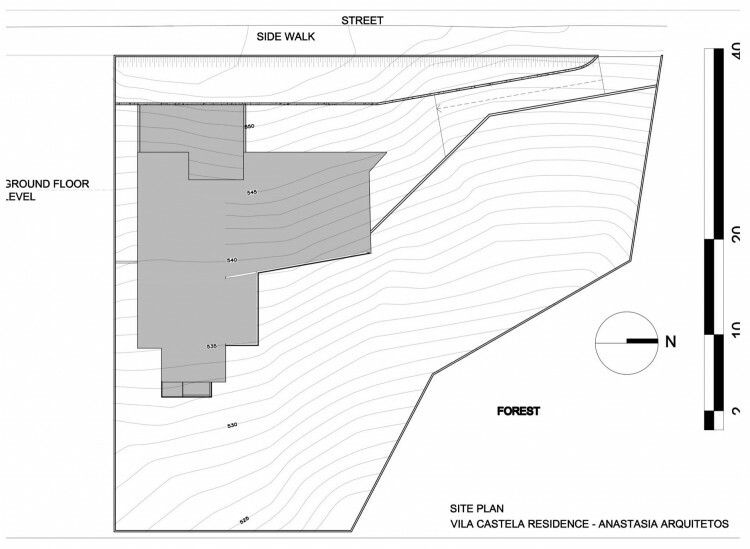 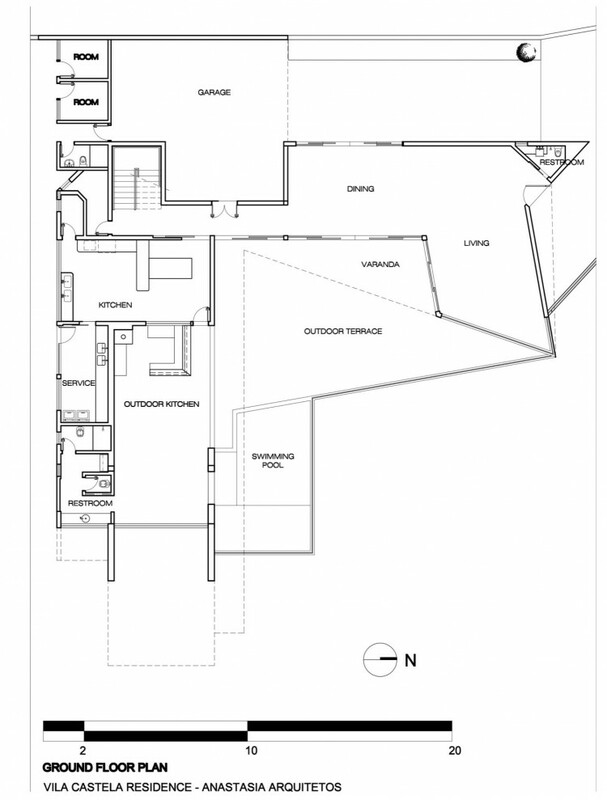 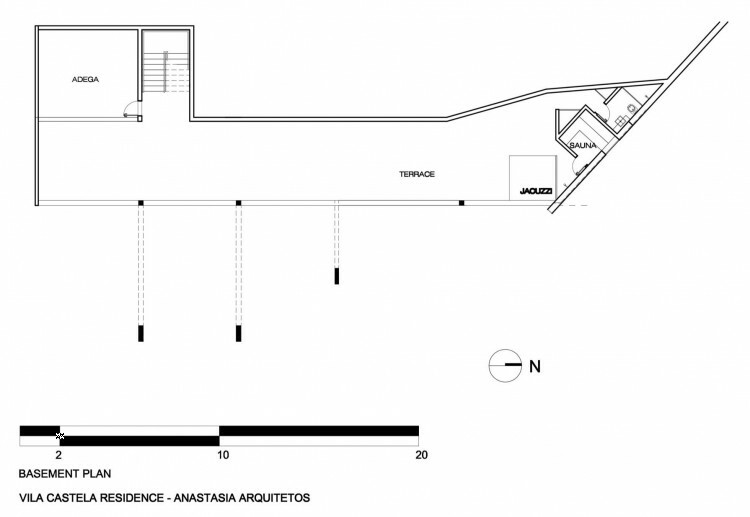 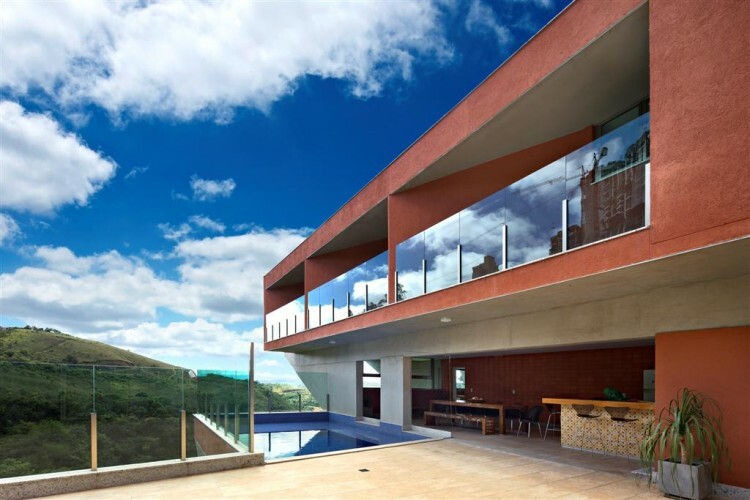 Brazilian studio Anastasia Architects has designed the Vila Castela Residence project. 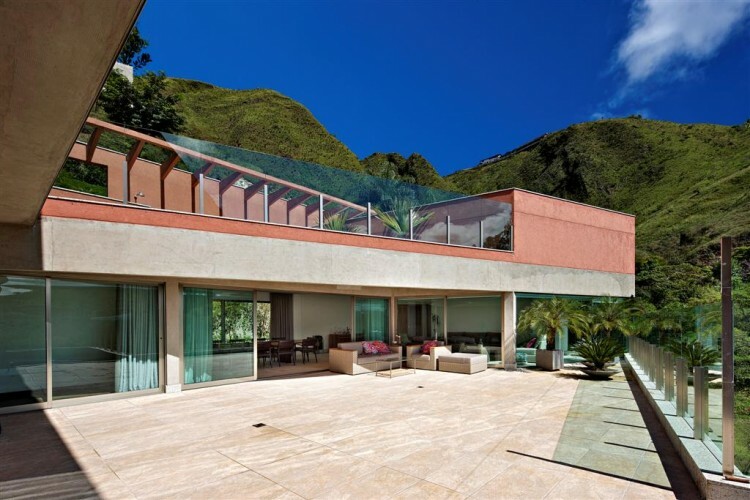 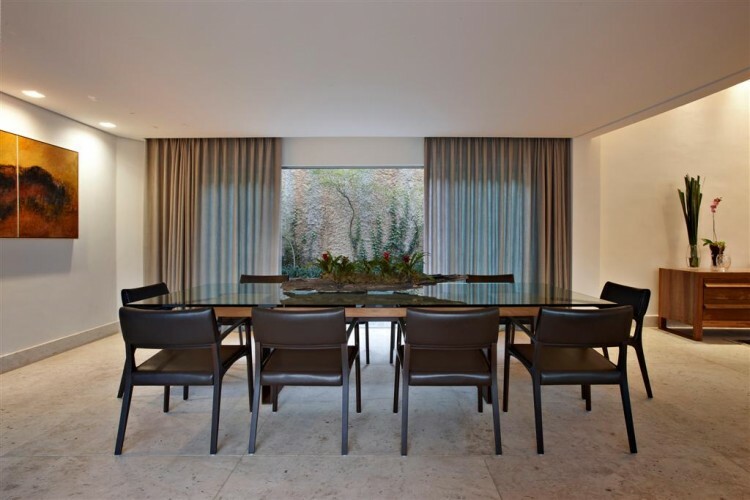 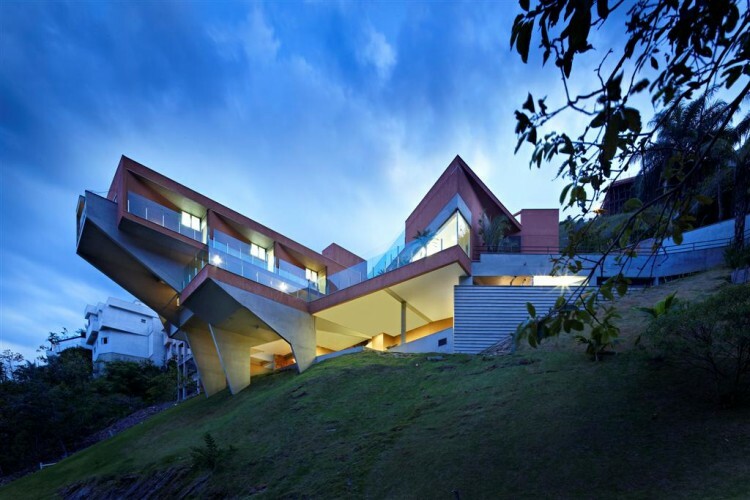 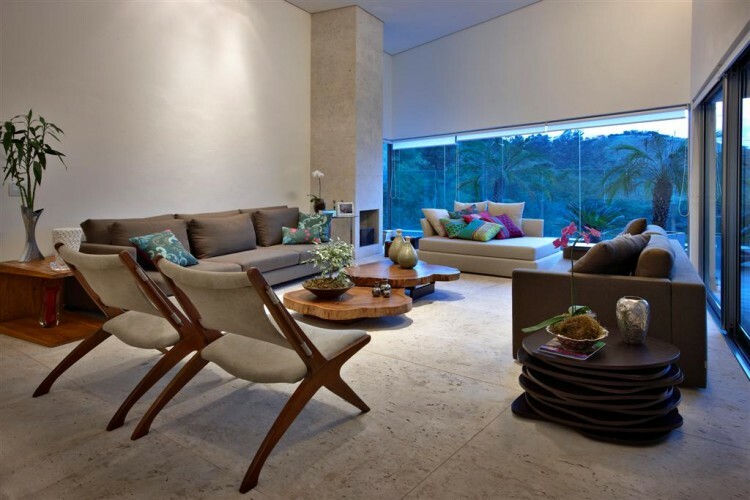 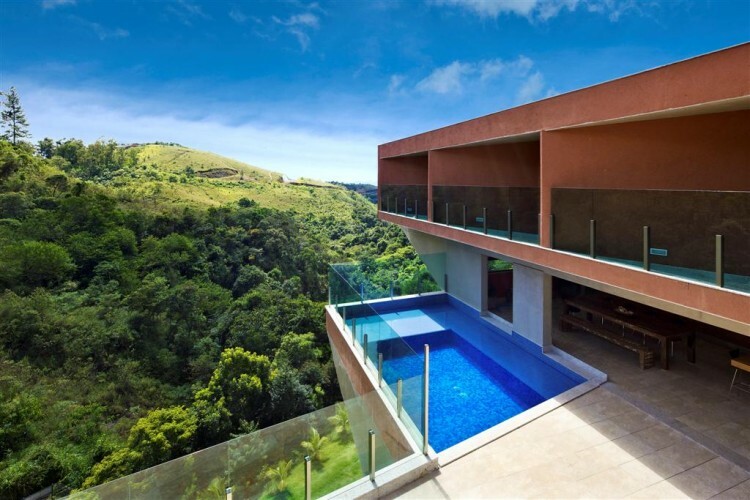 This impressive contemporary single-family home is located in Nova Lima, a city in the Minas Gerais state of Brazil. 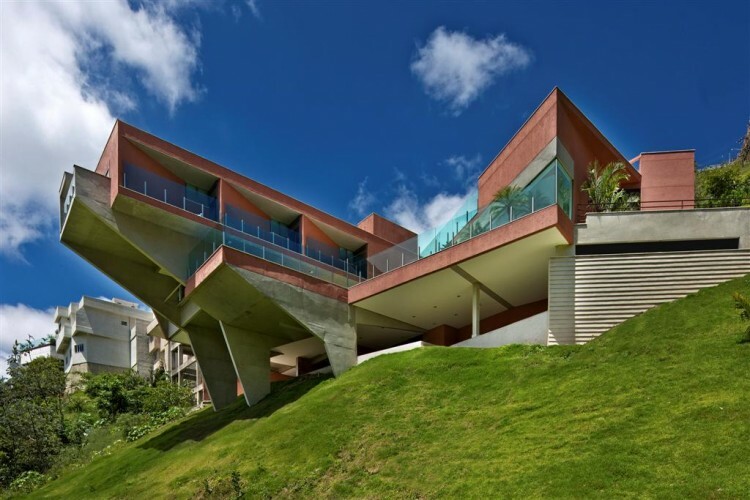 “Built in a sloped site (30 degrees) in the city of Nova Lima, Brazil, the house uses dramatic cantilevers to emphasize the extremity of its position. 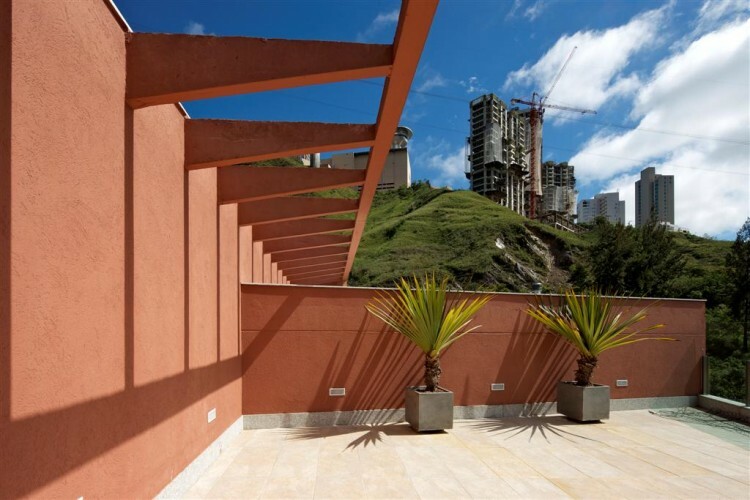 As the climate of this region is very good, with average temperatures of 28°Celsius in the summer, and 16° Celsius in the winter, the right orientation of the doors and windows prevents the use of artificial climate. 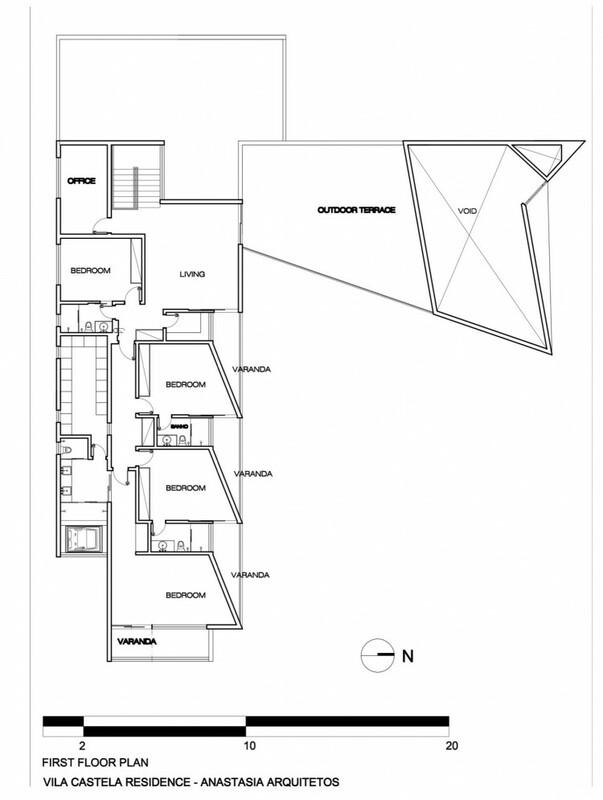 Solar voltaic cells are placed on the roof. 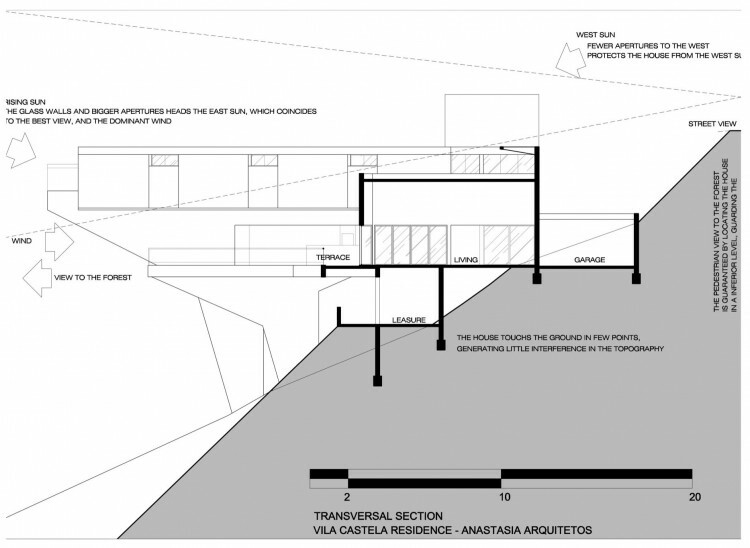 The form is generated by the engineering of the concrete structure, which is robust and sculptural and, at the same time, light and contextualized with the surroundings, not a self -referred structure. 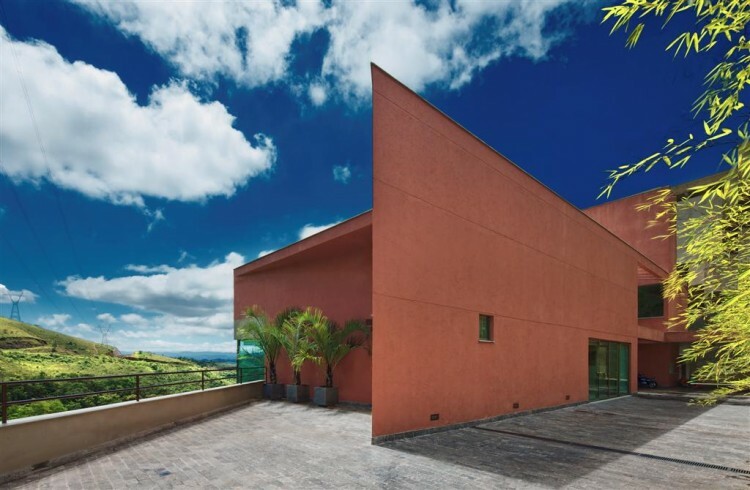 The concrete maintains its texture, and the masonry is painted terracotta, for low maintenance reasons. 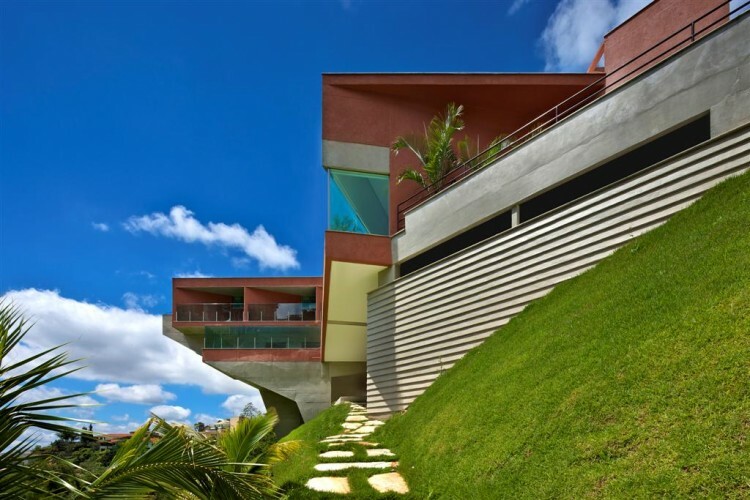 (the ground has a red dust, iron ore dust).